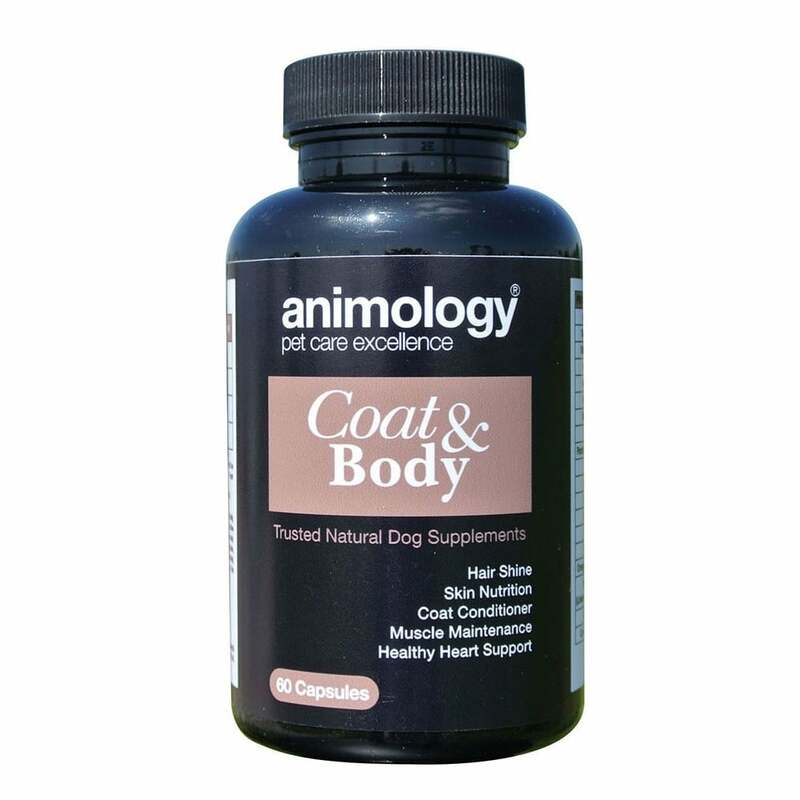 These Animology Coat & Body Capsules contain both omega 3 and biotin to help maintain a healthy coat and L-taurine and CoQ10 to support your dog's heart and other muscles. These capules are suitable for dogs from two months onwards and can be given whole or pulled apart and mixed into your dog's food or water. 60 capsules per pack. Animology's range of dog supplements have been specially formulated using essential ingredients to provide nutritional support for your dog's specific requirements, helping to support health and wellbeing.